Carillion has sold its controlling interest in developer Ask Real Estate to West Midlands developers the Richardson family. Their firm Dukehill, which has net assets of around £88m, will pay £13.8m for Carillion’s 67% stake in Ask Real Estate and a 50% interest in Ask Carillion Developments. The Richardson family property business, founded by twins Roy and the late Don who came to prominence as the developers of the Merry Hill Shopping Centre, was already partnering Carillion on schemes in Durham and Worcester. The development business is now run by by sons Lee, Carl and Martyn Richardson. The latest deal brings disposals in the the last week to nearly £64m following the sales of prime healthcare FM assets to Serco. Carillion is aiming to raise £300m from the sale of its assets as it battles to reduce its forecast £1bn debt mountain at the end of this year. Keith Cochrane, Interim Chief Executive, said: “We are pleased to be able to announce further progress. 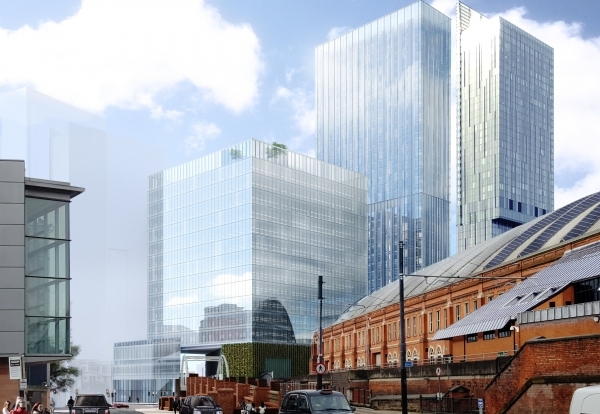 Ask has several developments on the go including a £300m mixed-use tower block scheme in Manchester for a 1.74 acre site next to the Beetham Tower and Manchester Central convention centre. The firm is also joint venture development partner with German property firm Patrizia for Gateshead Council’s planned £200m conference centre for a site next to the Sage Centre.